To satisfy the increasing demands on more-cost-effective and lower-power-consumption 100G optical networks, 100G QSFP28 4WDM optical transceivers emerge in the market. The 100G 4WDM series optical module currently includes three specifications in total: 100G QSFP28 4WDM-10, 100G QSFP28 4WDM-20, 100G QSFP28 4WDM-40. Today, in this article, Gigalight will mainly introduce them to you. Before coming into today’s topic, it will be better to have a knowledge of the MSA(Multi-Source Agreement) of these three specification optical transceivers: 4WDM MSA. What Is 4WDM MSA(Multi-Source Agreement)? The 4WDM MSA is an industry consortium dedicated to defining optical specifications and promoting adoption of interoperable 100G (4x25G) optical transceivers for 10 km based on the CWDM4 wavelength grid, and for 20 km and 40 km based on the LAN-WDM wavelength grid, over duplex single-mode fiber (SMF). These extended reaches are important for modern datacenter interconnects and mobile backhaul applications. The 4WDM MSA participants are responding to previously unmet industry needs for longer reaches, lower costs, and lower power consumption, as compared to previously available standards, in small form factors. The 100G QSFP28 4WDM-10 is based on the CWDM4 wavelength grid. To some degree, the QSFP28 4WDM-10 technical specification leverages the success of the CWDM4 2 km specification that has found broad acceptance in its target datacenter market. Like 100G QSFP28 CWDM4, the 100G-4WDM-10 specification employs 4 lanes of 25Gb/s using Coarse Wavelength Division Multiplexing (CWDM) technology to transport 100G optical traffic across duplex single mode fiber (SMF). Both specifications take advantage of the Forward Error Correction (FEC) on the host port, in accordance with IEEE 802.3bj KR4 RS FEC. One key advantage of CWDM is that the lasers do not need to be cooled or temperature controlled, resulting in lower power consumption and simplicity of manufacturing. 100G QSFP 4WDM-10 optical module shares these advantages and furthermore are specified to be fully interoperable with CWDM4 products. The 100GE 4WDM-10 QSFP28 specification does not restrict the form factor although high-density QSFP28 modules are expected to be dominant. 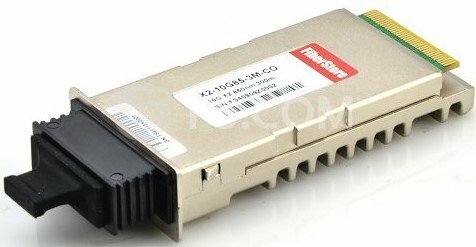 100G QSFP28 4WDM-20 and 100G QSFP28 4WDM-40 are added on the basis of the 100G 4WDM-10. They employ LAN-WDM wavelength grid on the basis of IEEE 100GBASE-LR4 and ER4, over duplex single-mode fiber (SMF). Simultaneously, they also utilize the IEEE 802.3 KR4 RS FEC used on the host interface to reduce the cost. This specification defines 4 x 25Gbps Local Area Network Wavelength Division Multiplex (LAN WDM)optical interfaces for 100Gbps optical transceivers for Ethernet applications including 100GbE. Forward Error Correction (FEC) is a link requirement in order to ensure reliable system operation. Two optical transceivers communicate over single mode fibers (SMF) of length from 2 meters to at least 20 or 40 kilometers. The transceiver electrical interface is not specified by this MSA but can have, for example, four lanes in each direction with a nominal signaling rate of 25.78125Gbps per lane. In addition, the QSFP28 4WDM-20 specification, which is an extension of the 100G-4WDM-10 10 km specification, enables customers to increase their reach using the same kind of optical components as 100GBASE-LR4 products. 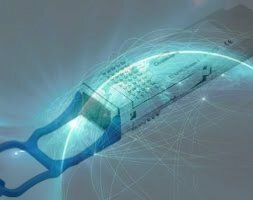 Similarly, the QSFP28 4WDM-40 enables 40 km reach with lower power consumption and in a smaller form factor than existing 100GBASE-ER4 compliant products that utilize a power-hungry SOA (Semiconductor Optical Amplifier). 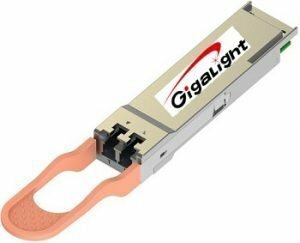 For above-mentioned three specifications, Gigalight currently has these two: 100G QSFP 4WDM-20 and 100G QSFP 4WDM-40 optical transceiver, but the QSFP28 4WDM 40km optical transceiver module(shown as the pic) is the main one for promotion at Gigalight. 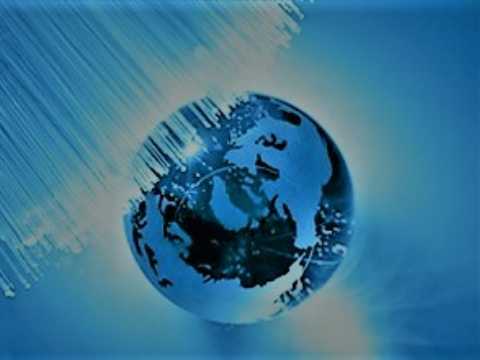 Gigalight is a design innovator in global optical interconnect field. A series of optical interconnect products include optical transceivers, passive optical components, active optical cables, GIGAC MTP/MPO cabling, cloud programmers & checkers, etc. Three applications are mainly covered: Data Center & Cloud Computing, MAN & Broadcast Video, and Mobile Network & 5G Optical Transmission. Gigalight takes advantage of its exclusive design to provide clients with one-stop optical network devices and cost-effective products. White Box Switch vs Brite Box Switch: Which to Choose? SFP-10G-SR vs X2-10G-SR: Which One to Choose? ← Why to Use DWDM System in MAN and What Are its Networking Schemes?